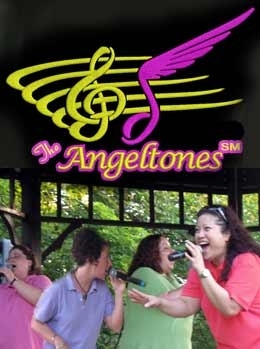 Breathing new life into timeless classics, THE ANGELTONES™ are on the fast-track to becoming one of the most sought after female vocal groups in the Tri-state area. With their distinctive styles woven into one unique sound, they will make any event fun and memorable. Whether it be one of your company’s corporate functions, an outdoor event, or your grandparents' 50th anniversary party, The Angeltones™ will leave audiences invigorated and wanting more! To make your next event an experience full of humor, harmony, and heart, call us for your next event. The Angeltones™ will make any event enjoyable while bringing out the nostalgia in everyone! The Angeltones™ are available for a variety of events such as outdoor events, corporate functions, tribute shows, themed parties, car shows, birthdays, anniversaries and even weddings. Anywhere you want the great sounds of the oldies to come alive again, we have the show for you. We will customize our show to fulfill your needs. Give us a call today for rates and availability. The Angeltones™ have been getting regular airplay at the only place where you will find your favorite songs of yester-year, Destination Doowop. According to Destination Doowop's executive producer, Yukon Jack, we have been receiving fantastic reviews. Thanks to Yukon Jack and Tommy the Maltman for playing our songs.